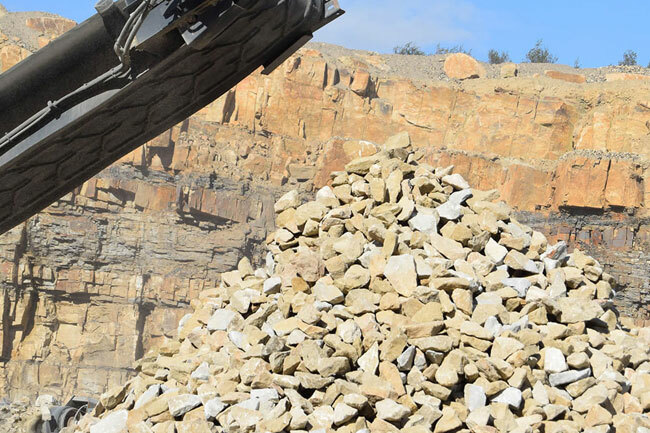 The size of clear stone products ranges from 2.3mm to 200mm where all the stone is of the same size or in a specific combination of gradation. They are used largely for the drainage applications or in the production of concrete or Asphalt products. The multiple voids in and around the stones let water to pass through freely. The same gap can be filled with multiple gradation of stone products in addition with cement to create a hard concrete product that can be molded into almost any shape. Be it CN Tower to 400 series highways or blocks in the foundation or garden states.